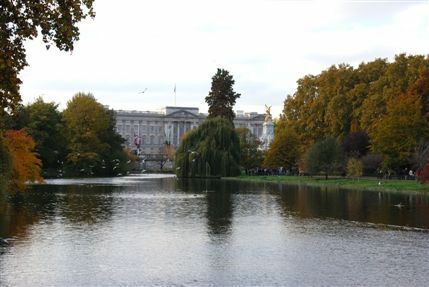 England's most famous royal palace, and the official residence of Queen Elizabeth II, Buckingham Palace opens the doors of its State Rooms to the public every summer. Originally acquired by King George III for his wife Queen Charlotte, Buckingham House was increasingly known as the 'Queen's House' and 14 of George III's children were born there. On his accession to the throne, George IV decided to convert the house into a palace and employed John Nash to help him extend the building. Queen Victoria was the first sovereign to live here (from 1837). The State Rooms are now still used by the Royal Family to receive and entertain guests on State and ceremonial occasions. Visitors can admire some of the more unusual gifts received by the current Queen, including drawings by Salvador Dali, an embroidered silk scarf from Nelson Mandela and a grove of maple trees. Decorated in lavish fashion, the rooms include paintings by Rembrandt, Rubens, Canaletto, Vermeer and Poussin, sculpture by Canova, exquisite examples of Svres porcelain, and some of the finest English and French furniture in the world. The Ball Supper Room, the setting for a host of sparkling events in the history of the palace, 29-acre gardens and annual exhibitions are all also available to visitors.